This is the complete dataset for the 500 Cities project. It includes 2013 and 2014 model-based small area estimates for 27 measures of chronic disease related to unhealthy behaviors (5), health outcomes (13), and use of preventive services (9). 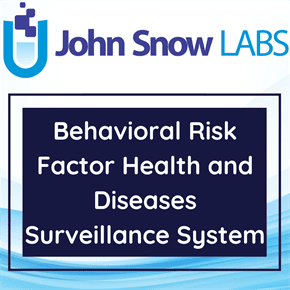 The data in this dataset were provided by the Centers for Disease Control and Prevention (CDC), Division of Population Health, Epidemiology and Surveillance Branch. The 500 Cities project was funded by the Robert Wood Johnson Foundation (RWJF) in collaboration with the CDC Foundation. It represents a first-of-its-kind effort to release information on a large scale for cities and for small areas within those cities. The purpose of the 500 Cities Project is to provide city- and census tract-level small area estimates for chronic disease risk factors, health outcomes, and clinical preventive service use for the largest 500 cities in the United States. These small area estimates will allow cities and local health departments to better understand the burden and geographic distribution of health-related variables in their jurisdictions, and assist them in planning public health interventions. It includes estimates for the 500 largest US cities and approximately 28,000 census tracts within these cities. These estimates can be used to identify emerging health problems and to inform development and implementation of effective, targeted public health prevention activities. Because the small area model cannot detect effects due to local interventions, users are cautioned against using these estimates for program or policy evaluations. Data sources used to generate these measures include Behavioral Risk Factor Surveillance System (BRFSS) data (2013, 2014), Census Bureau 2010 census population data, and American Community Survey (ACS) 2009-2013, 2010-2014 estimates. In this dataset, the data value unit used is percentage. Also the estimates for population less than 50 have been suppressed.